I am going to guess that the Innovations work will result in more direct paths to the Seas and Energy to help with crowd flow and improve the guest experience by reducing the number of steps it will take to encounter a ride that isn't SSE. would this free up WoL? Well talk about perfect timing. It seems we may be tossing a July trip together. I don't really plan on doing much since it'll be packed so I'l definitely be taking pictures of everything FW related. @marni1971 I'm sure it will happen at some point, but do you have any idea when the Innoventions Plaza area music will be removed? It's my favorite music at WDW so I want to be prepared. Probably when the plaza is removed? Seriously, I don’t. Educated guess says within the year. Does the Space Ball exit into Space Ball the merchandise? Can I suggest adding the gravity building for GotG? Quite possibly. If not, soon after. sounds like thst hotel is a go? You know some of it is commercially available, right? The track is called Papillon and is the first track on this album. Check out In The Wake Of The Wind by David Arkenstone on Amazon Music. Stream ad-free or purchase CD's and MP3s now on Amazon.com. It's now going to be a hostel. DVC. Thanks for all your input @marni1971. 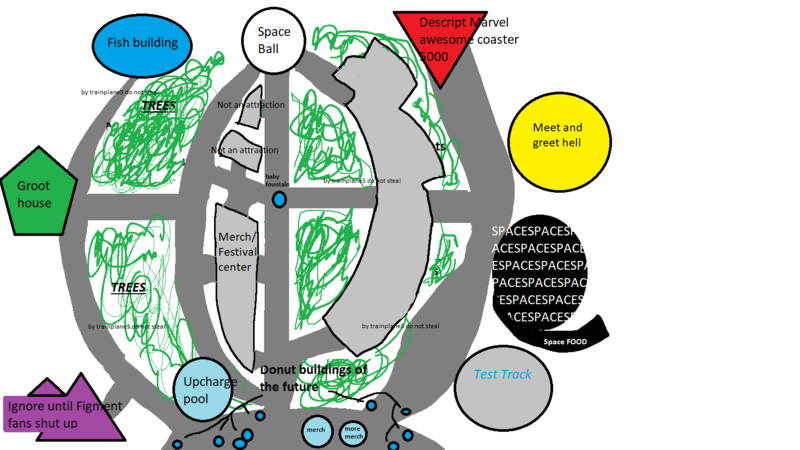 Will Future world still be symmetrical? I guess with only one side of innoventions staying probably not. But I just can't imagine it not being symmetrical anymore .